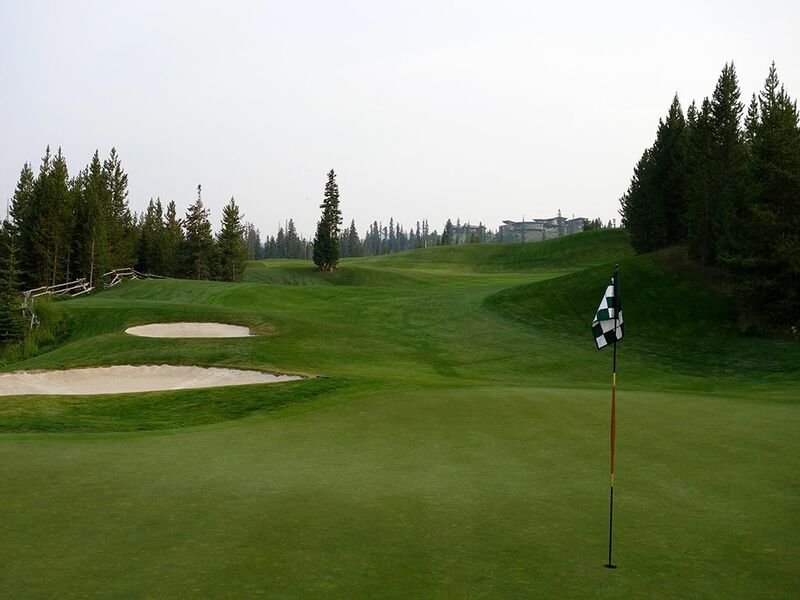 Course Website: Official Website - Visit Yellowstone Club's official website by clicking on the link provided. 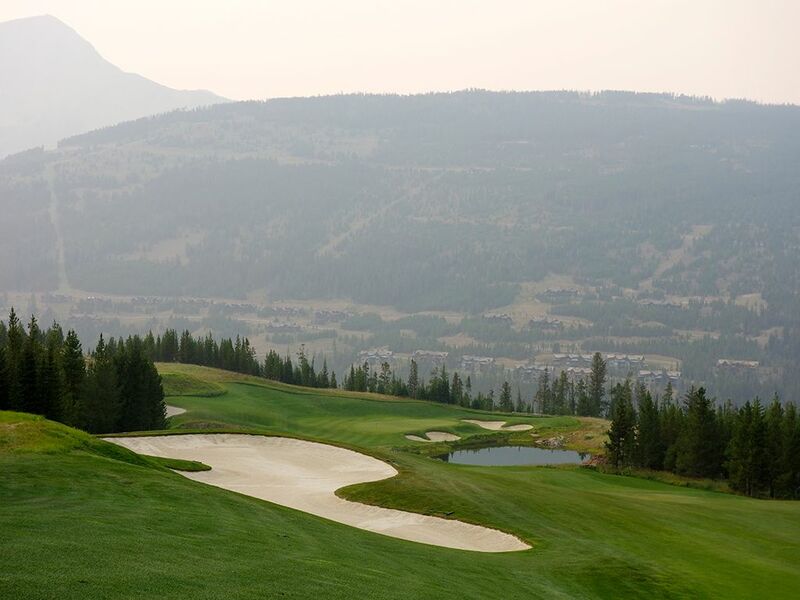 Accolades: Ranked 5th in Montana on Golf Course Gurus' Best in State list. 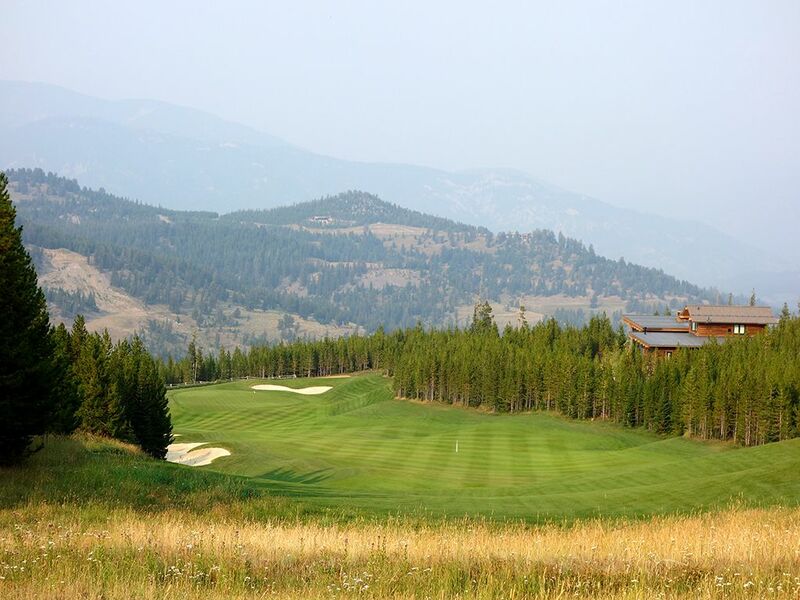 What to Expect: Yellowstone Club embodies exactly what you think you'd find at a high mountain course with some serious elevation changes, great views, and thin air that makes you feel like you can hit it further than Tiger Woods. In fact, the opening two holes play so far downhill that my tee shots measured over 400 yards by the time they came to rest. That is the first time I've ever gone driver-sand wedge into par fours measuring 519 and 479 yards. 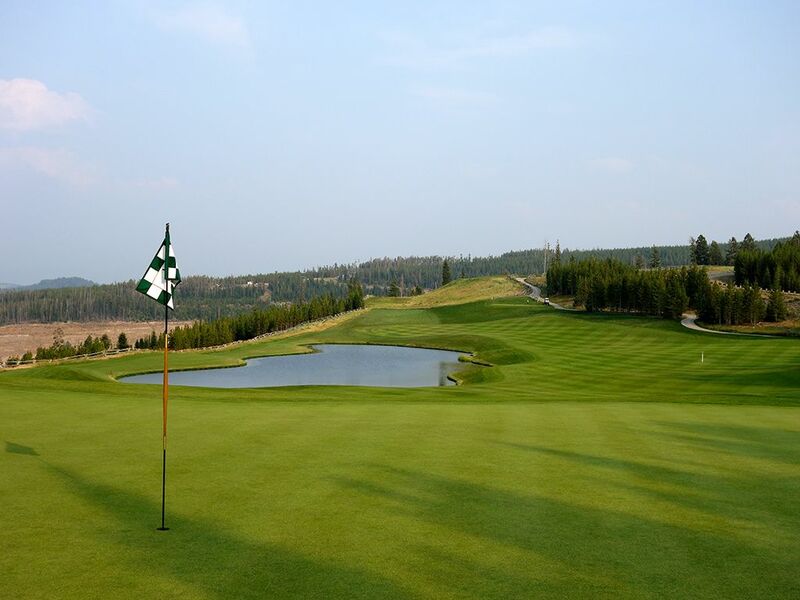 From a design aspect, Weiskopf built solid holes that are catered more towards playability for the members rather than trying to capture compelling architectural features which results in a course that is always enjoyable to play but isn't quite as engaging strategically as some other top tier 21st century designs. At nearly 8,000 feet elevation you can be assured of two things; your ball will carry seemingly forever and you'll have wildlife as your neighbors. 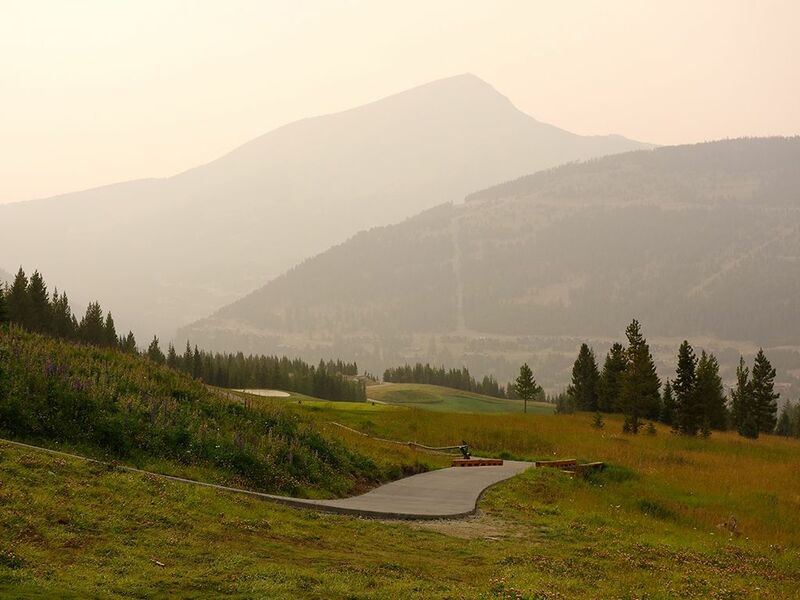 In fact, bear spray is a standard issue for each golf cart that goes out on the course and it isn't as a prank. The conditioning at the course is nearly perfect with the tees, fairways, and rough seeded in bluegrass while the greens feature bentgrass. For those less worried about the golf and more worried about the social aspect of the game, an impressive snack house is featured on the front nine where hot dogs, candies, jerky, drinks, and homemade snacks are plentiful. 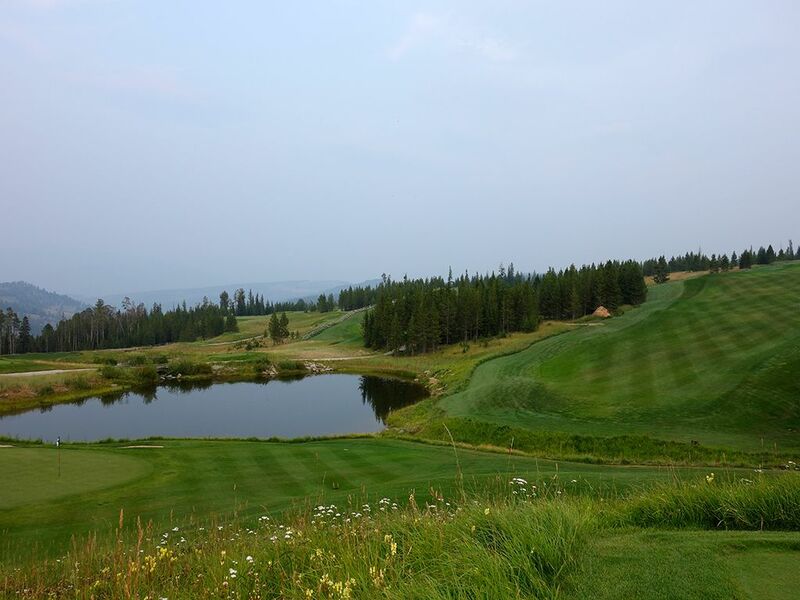 While this course can only be enjoyed less than six months a year due to the amount of snow it takes on, it is a great destination and club to enjoy with your kids and friends during the summer break. Signature Hole: 4th Hole – 434 Yard Par 4 – When I asked the assistant pro what his favorite hole on the property was he didn't hesitate to declare #4 as the one. 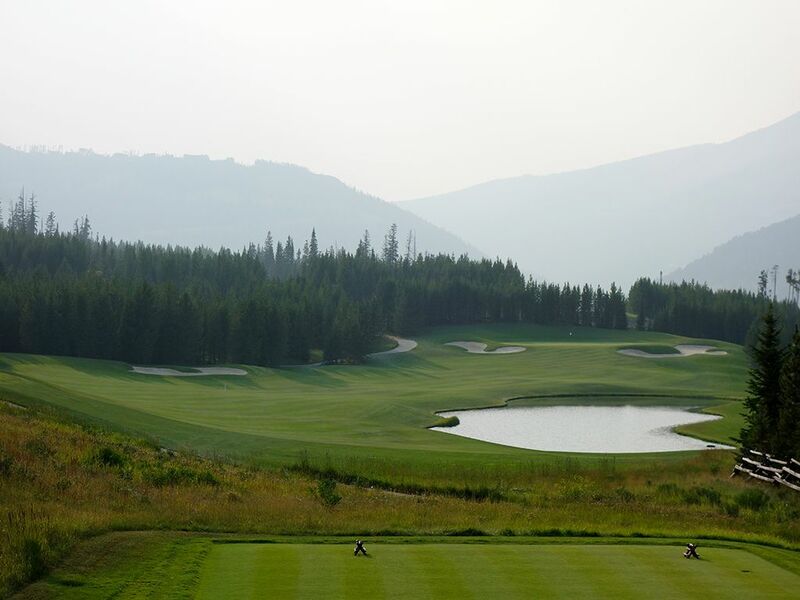 This par four is highlighted by a pond on the right side and mountain in the distance that create a picturesque setting. 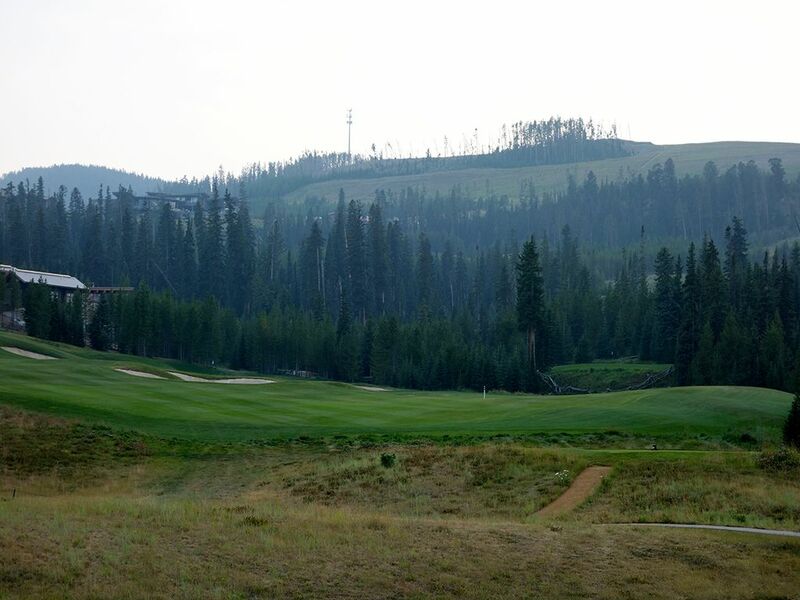 If you think you are going to carry your tee shot over the water then think again, even at 8,000 feet elevation. The play is up the left side where the fairway slopes balls back towards the middle and into prime shape to attack the flag. The raised green is protected by a bunkers on each side while the front is vulnerable to balls being skipped in on the ground. 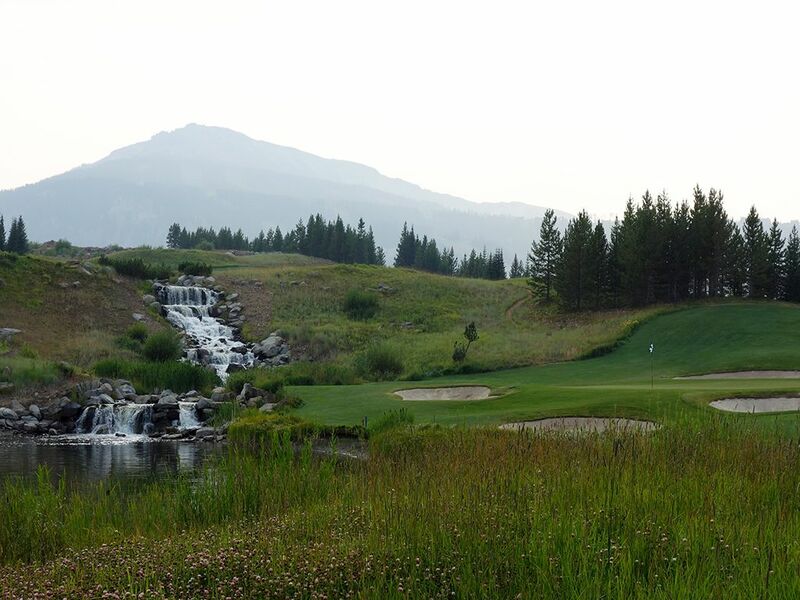 Best Par 3: 6th Hole – 203 Yards – The 6th is a classic over-the-water one-shotter that features a mountain backdrop and a waterfall tumbling down from the 7th fairway on the left. Five bunkers protect the green with four being in the front and one behind the putting surface. The bailout is right of the pond for those need feeling bold enough to carry the water, but with the thin mountain air as your friend you should feel good about flying your tee ball all the way to the putting surface. Best Par 4: 9th Hole – 325L/351R Yards – The 9th is a short par four that provides the option of whether to play to the green on the right or the one on the left. The shorter, and easier, play is to the green on the left that is fronted by bunkers but provides a backstop to play off of onto the putting surface. The right green is not only 25 yards further away, but it is significantly raised and is fronted by a large waste area. A pair of towering pines create virtual goalposts to aim through. The green on the right certainly provides the more exciting option but going to the left is a nice option for the player that may struggle to get the ball airborne. 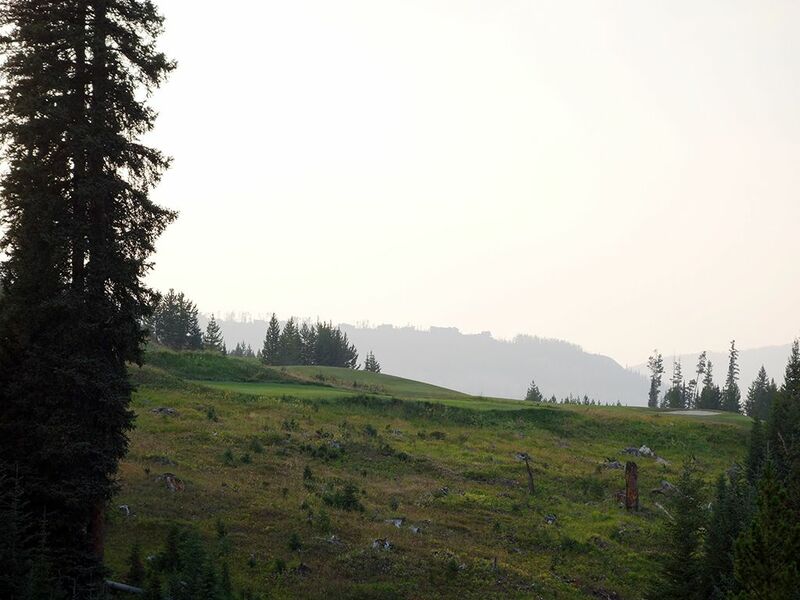 Best Par 5: 12th Hole – 541 Yards – The par five 12th features a blind tee shot from the tips with a ski run carved through the trees in the distance becoming the ideal line to take. The fairway tumbles downhill and provides an optimal chance to reach the green in under regulation and throw an eagle or birdie on the card. The lowered green is fronted by a creek that feeds into a pond that sets the right boundary of the putting surface and is the biggest contention to consider when attacking the green. 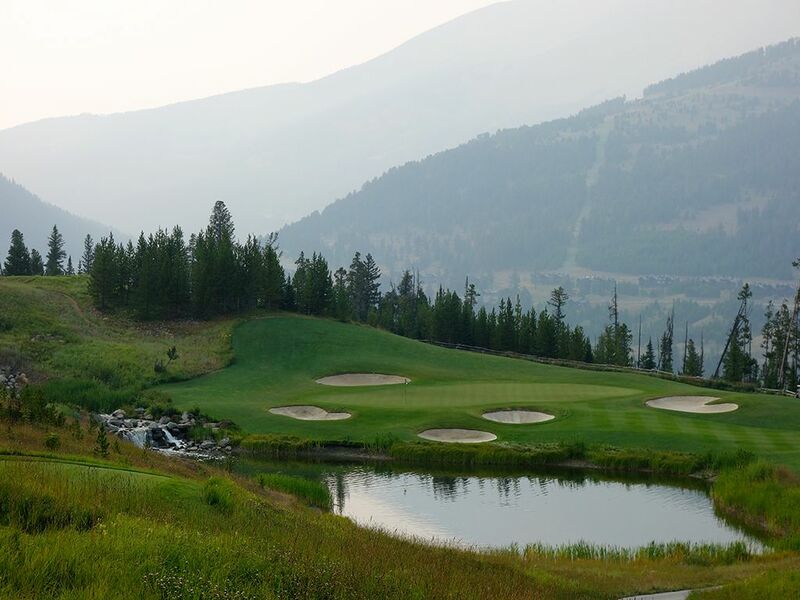 With mountains, elevation changes, water, and a chance to score well, there is a lot to like when teeing it up on the 12th. Birdie Time: 2nd Hole – 479 Yard Par 4 – How on earth can a 479 yard par four be featured as the Birdie Time hole you may wonder? Well, when the tee shot plummets downhill to a wide, downhill sloping fairway you quickly figure out how. In fact, after my tee shot I was left with just 55 yards to the flag and a great chance to wedge it close. I have to admit, it is a ton of fun and a good stroke to the ego to play a hole like this. While it may seem crazy, the first two holes add up to nearly 1,000 yards but the elevation drops are so severe that you'll likely be left with short clubs into the green. 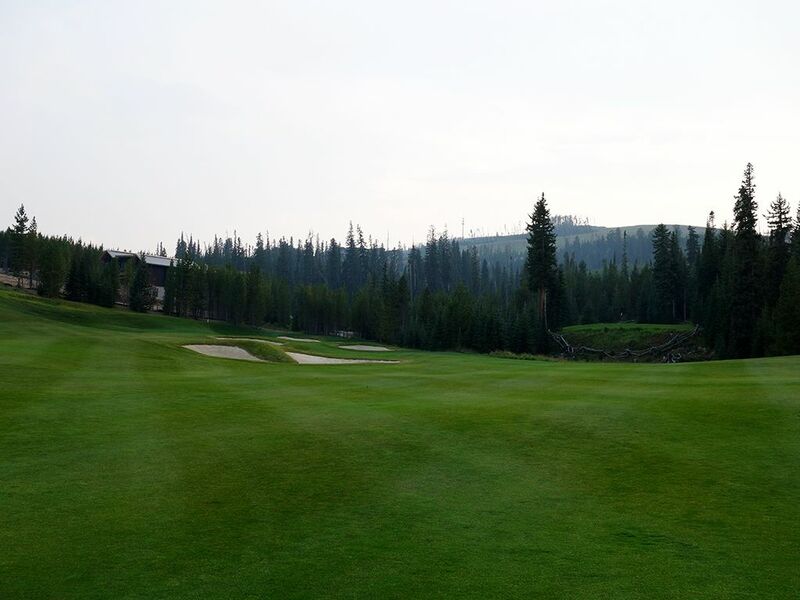 Welcome to mountain golf in the West! Bogey Beware: 10th Hole – 443 Yard Par 4 – The starting hole on the back nine starts with a blind tee shot to a rolling fairway where finding a flat lie is uncommon at best. On the approach shot there is a patch of trees towering in the middle of the fairway to contend with and can cause you to work the ball on either side of them. 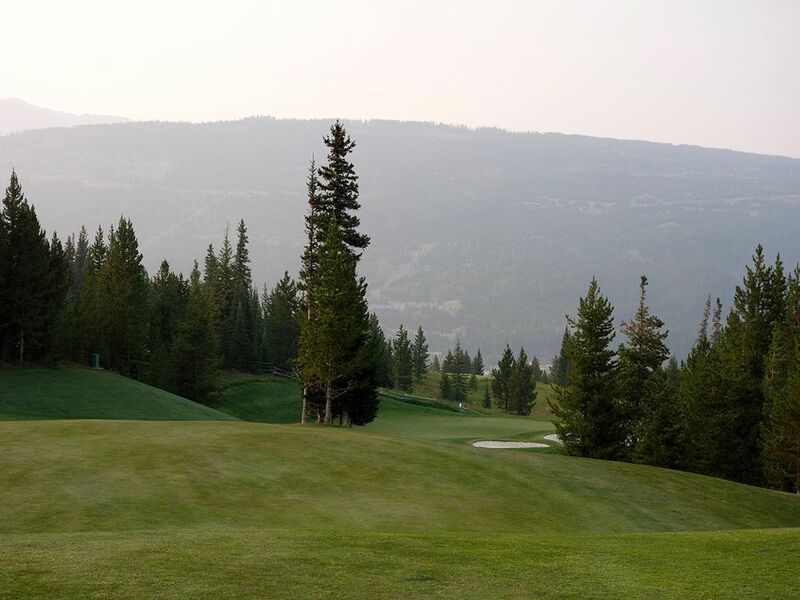 Tee shots or approach shots that sail right will tumble down the mountainside and be lost forever which causes instant damage to your confidence and scorecard. If you throw a bogey on the card here you have two easy holes coming up to make up for it, so don't despair.